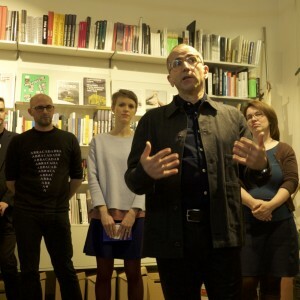 The Czech translation of the book HOW TO SEE THE WORLD (ArtMap, 2018) with its author NICHOLAS MIRZOEFF as guest. 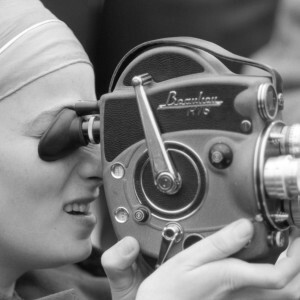 What are the images that create the world around us and how do we create this world by images? In “How to See the World”, renowned British culture and art theorist and activist teaches us how to create, spread and interpret images responsibly and critically. The comprehensible and briskly paced guide to 21st century visual culture is an ideal help in navigating the contemporary visual world. The first Czech translation includes an extensive interview with the author and thematic illustrations. 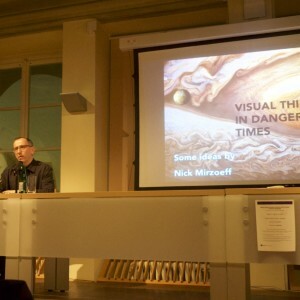 The book launch, held at ArtMap book store (Vojtěšská 196/18, Prague) is followed by the author’s lecture “Visual Thinking in Dangerous Times” held at NYU Prague on March 13 at 7 pm. Follow program updates via our FB event. In seven chapters, drawing on his in-depth knowledge of visual history and contemporary theory, the author provides a critical look into the functioning of visual phenomena we encounter in our everyday lives. The desire to capture our better selves expressed by millions of selfies circulating on social media meets the history of self-portrait from Velázquez to Duchamp meets the vogue dance made famous by Madonna. The history of map use uncompromisingly correlates with colonization and racism. Military technologies emerge as part of everyday communication, whether in the form of online connection, use of photographs and film in smartphones or video surveillance systems. However, digital images and social media also represent means by which we can actively change the 21st century world. Thanks to new visualization tools and social media, political and environmental activism got an unprecedented chance to stand up to big multinational institutions, corporations and governments and point out issues or groups that would go unheeded for centuries.